BANGKOK, Thailand (March 1, 2017) - CEO of Absolute Hotel Services Group Jonathan Wigley is delighted to announce their third U-branded property to open in Vietnam and the first in Hoi An, U Riverside Hoi An. U Riverside Hoi An, located in the UNESCO World Heritage Site of central Vietnam's Hoi An town, joins its sister hotel U Sapa situated in the picturesque north-west and will bring another example of U Hotels and Resorts multiple award-winning dedication to guest satisfaction to this beautiful country. 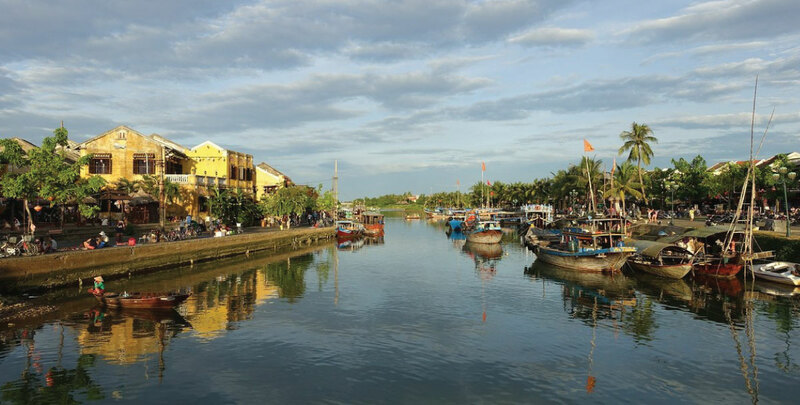 U Riverside Hoi An is perfectly located in the middle of this historical heritage town and is only 30 minutes from Da Nang International Airport. The overall design architecture of the hotel exhibits the fascinating destination of Hoi An with a combination of ancient styles accented with a modern twist. All 150 rooms and suites provide luxury amenities and comfort enhanced by first-class facilities including an all-day dining restaurant with a themed bar serving modern and inspiringly avant-garde French cuisine, a fully-equipped high-tech gym, swimming pool and 120 sqm of function space for small to medium group gatherings. U Riverside Hoi An also features a host of unique U "touches" such as 24-hour use of room, breakfast whenever/wherever and pre-selected amenities including a choice of pillows, teas and soaps which guests can select from the online " U Choose" programme. U Riverside Hoi An will open in 2019.